Pick up a new mobile device at Verizon Cellular Sales in College Town, grab an iced coffee from Saxby’s and charge the device in the spring sun at College Town. College Town is excited to introduce the installation of a Soofa Bench on the Greens at Celebration Drive right outside the newly opened Rochester Running Company and Bar 145. Tethered to a coffee shop for power? 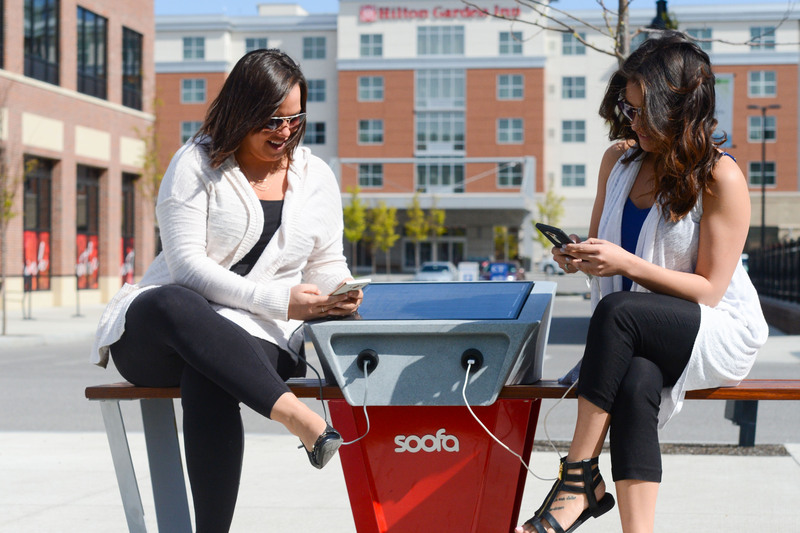 The Soofa Bench provides a great opportunity to recharge and get vitamin D at the same time. 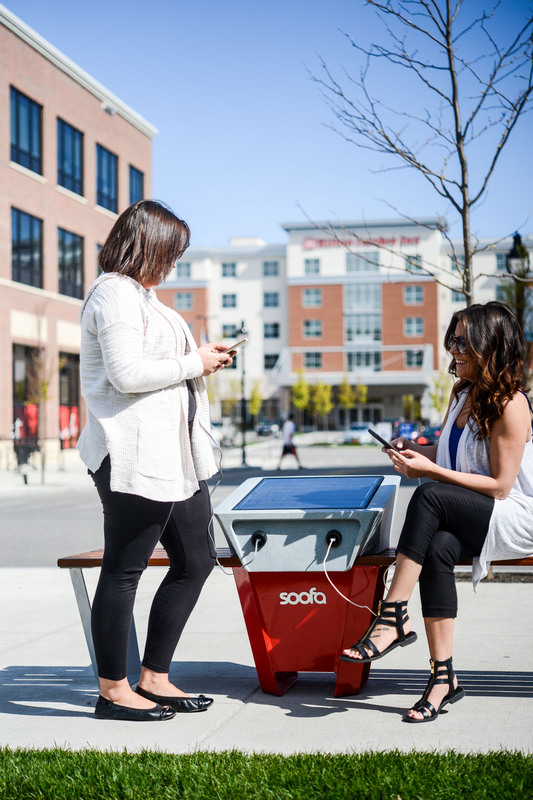 The Soofa Bench is conveniently located outside of the Verizon Cellular Sales store at College Town. This is the first Soofa Bench installed in Monroe County.